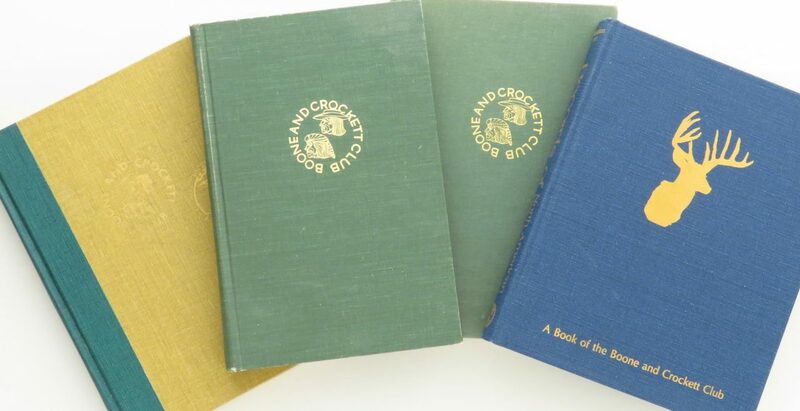 Boone and Crockett Club records books, lot of four, 1971, 1973, 1977, 1981 - Sportsman's Legacy, Fine firearms, related books and sporting collectibles. Representing estates, collectors and nonprofit conservation organizations. Records of North American Big Game, 1971 Edition, very good; Records of North American Big Game, 1973 Edition (revised version of 1971), very good; Records of North American Big Game, 1977 Edition, very good; Records of North American Big Game, 1981 Edition, very good. All copies absent DJ. Proceeds benefit the Boone and Crockett Club. Multiple copies of most are available. The price is firm. $150 plus media mail.